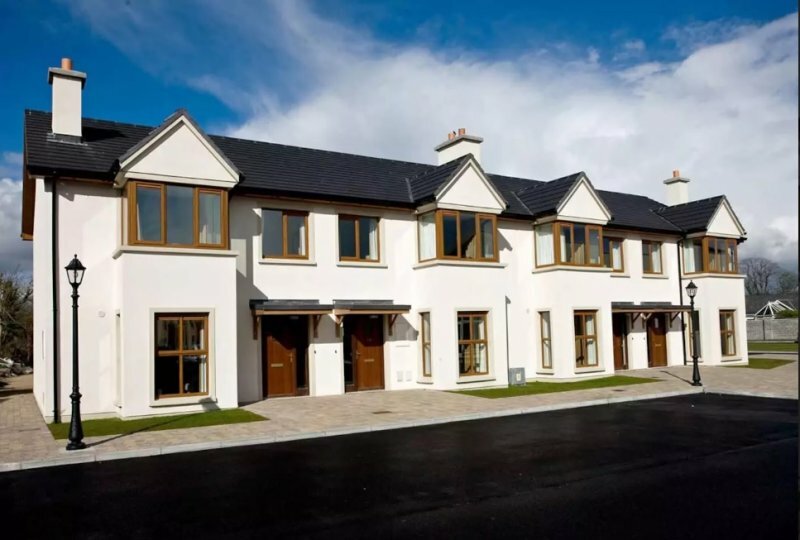 Located in the grounds of the Park Hotel and Leisure Centre in Dungarvan in Ireland's sunny south east, these brand new holiday homes are perfectly located for a fun packed family holiday. 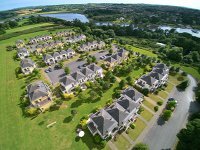 There is a host of sandy beaches within a short drive of the Holiday Homes and Dungarvan Town Centre is less than a 5 minute walk away. 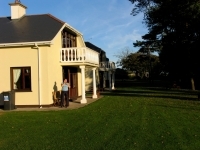 The onsite facilities of the Park Hotel will keep everyone entertained. 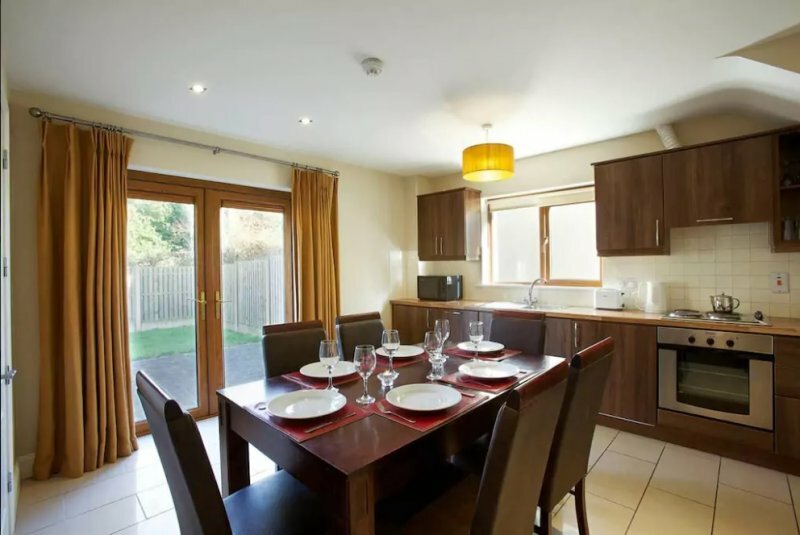 While staying in the Holiday Homes you will be treated as Hotel residents and will have access to all their facilities. The Meladon Bar serves bar food every day and is home to regular live music entertainment during the summer months. The Garden Room Restaurant uses only the best of the wonderful local produce. There are two types of Holiday Homes. 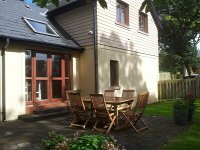 The two bedroom units have one double bedroom upstairs and one triple bedroom downstairs with a double bed (can be made up as one large double bed or two single beds) and a single bed. The three bedroom units have one double bedroom, one twin room and one single meaning that 5 people can be comfortably accommodated. Cots for babies are also available on request. There is one shower room downstairs and upstairs is a bathroom with bath and shower. There is no ensuite. 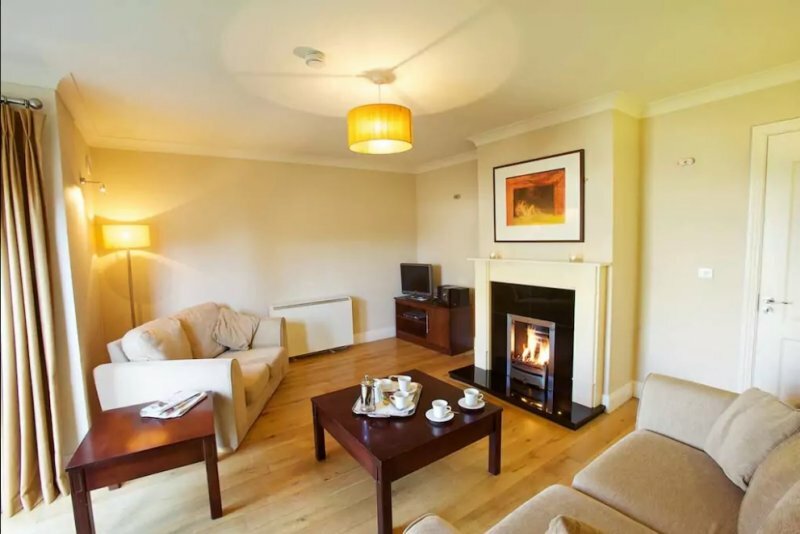 The spacious living room is cosily furnished and has lovely wooden floors, 28'' plasma TV and dvd player. There is a gas fire and the central heating is also gas fired. Electricity and Oil for heating, lighting and fuel is an extra charge of €7.00 per day and is payable before departure. When collecting your keys at reception you will be asked to leave credit card details as a guarantee. There are 2 Wheelchair Accessible houses on site also. They are 2 bedroom houses.